The Blare swimsuit design is based on the Arena logo. The shiny pink detailing extends through to the light tech style back. 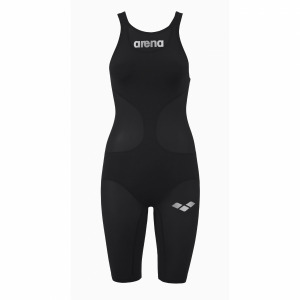 The slim straps give the suit a feminine feel and allow a full range of movement. What’s not to like about this super stylish swimsuit??! The excellent UV protection it provides also make it an ideal choice for holidays and sunny swim camps.